September is here and Fall and Pumpkin Season will soon follow. Row by Row for 2018 ends and we look to projects for Halloween, Thanksgiving and Christmas. 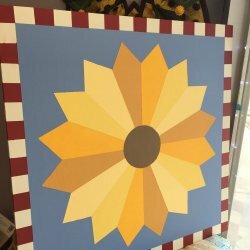 We have lots of plans for projects and classes coming up here at The Quilted Sunflower. 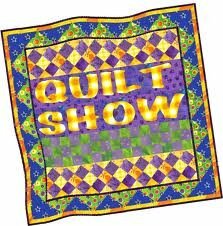 Last year we had a great turn out of quilts. This year will be even better. Any and all quilts are welcome. Wednesday will be "What's New Wednesday". Facebook Live every Wednesday at 1pm CST. See what is new to the shop or what is new to you. Make a cute dresden Halloween wall hanging with an adorable spider. Pattern is in Quiltmaker Sept./Oct 2018 magazine issue. Limited number available at the shop for purchase. Class fee $10, Kits will be available if you like of pick our own fabric. All classes are listed on the website. Our Clearance Section is $5.00 per yard Miniumum 1 yard cut. Come check out the great deals.